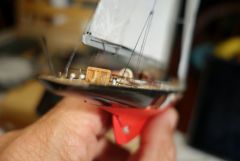 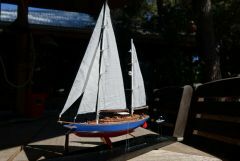 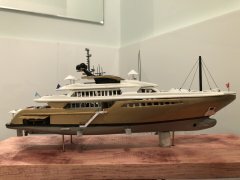 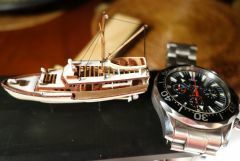 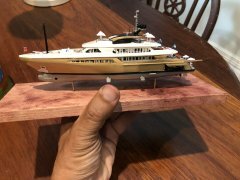 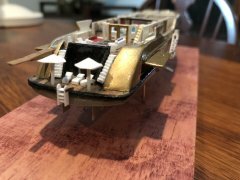 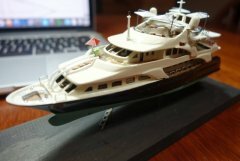 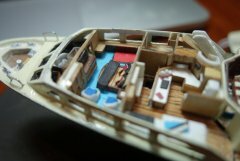 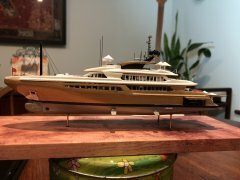 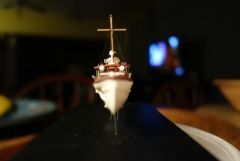 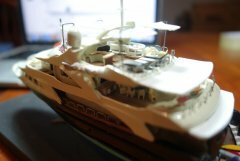 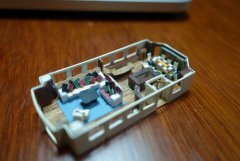 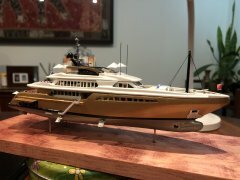 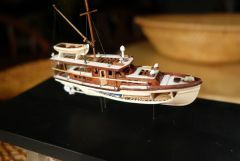 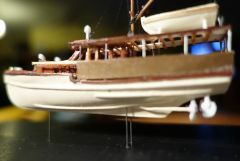 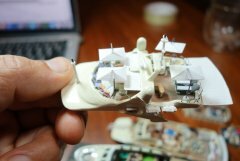 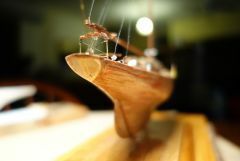 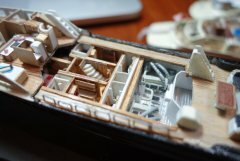 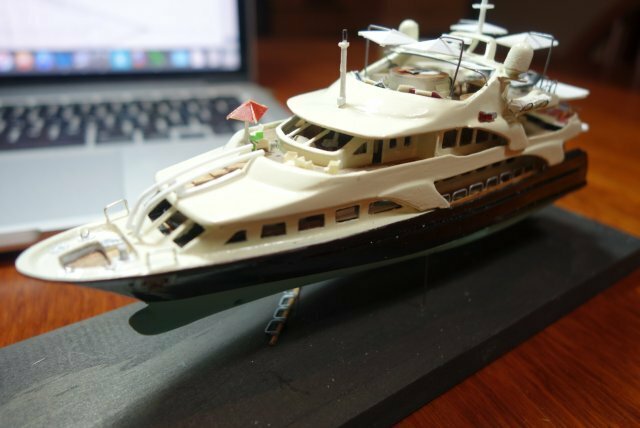 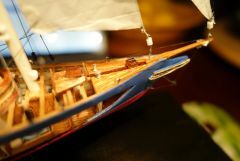 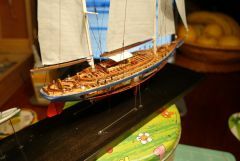 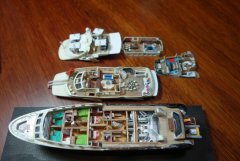 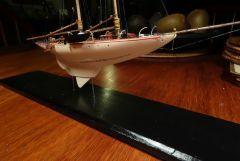 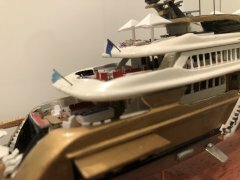 Majellan is a fully detailed scale model of a super yacht. 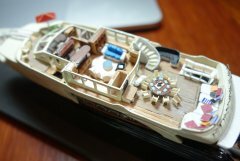 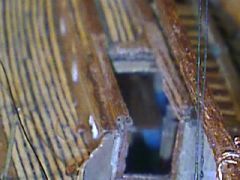 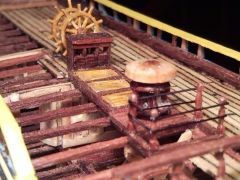 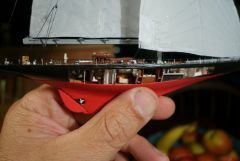 All of her decks are removable so that the interior can be viewed. 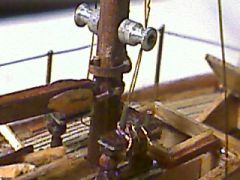 cannons, etc. 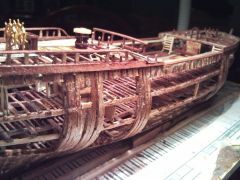 all parts were entirely scratch built and took about 24 months to build. 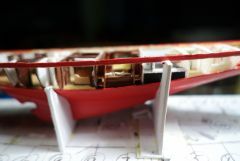 The hull is approximately 12 inches long. 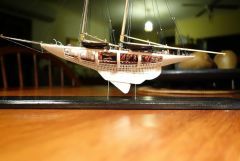 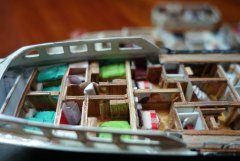 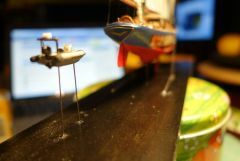 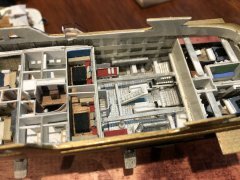 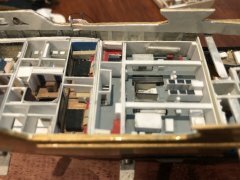 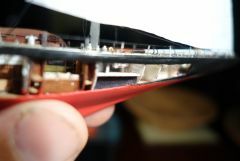 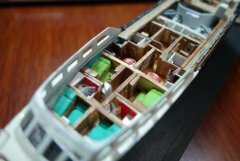 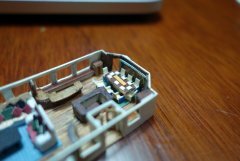 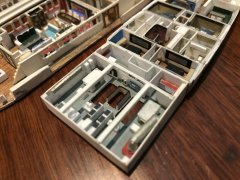 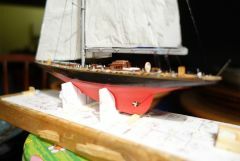 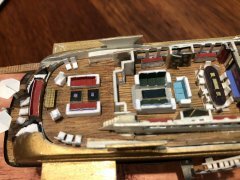 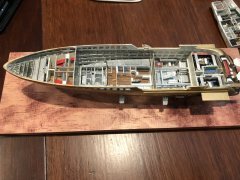 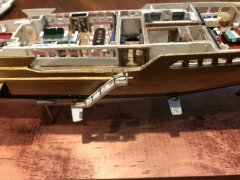 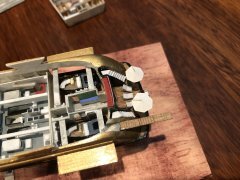 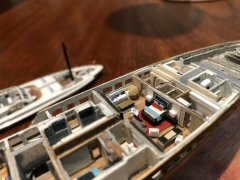 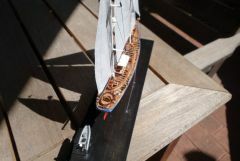 My miniature model of the famous J Class Rainbow has a fully detailed interior, viewable through large cutouts in the hull and an open deck. 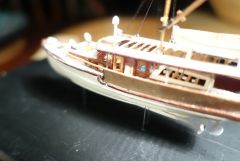 Mystic is a mere 3 inches or 7 cms in length and has a fully detailed interior. 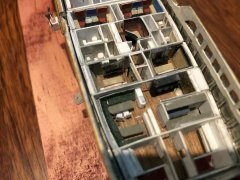 The internal accommodation is viewable via the cut out hull and exposed cabin roofs. 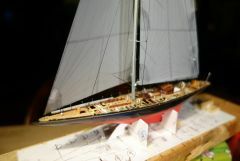 Ingomar was designed by Hereshoff and was one of the fastest and most famous schooners in her day. 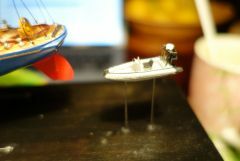 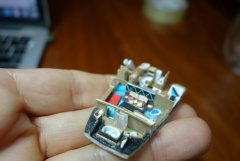 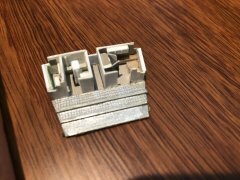 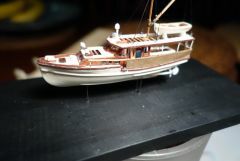 My model is a miniature version built to 1/128 scale. 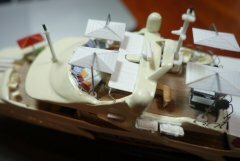 The model has a fully detailed interior which is viewable via the large cutaway hull and open- framed deck. 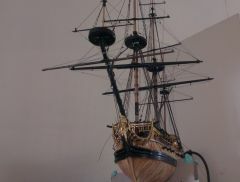 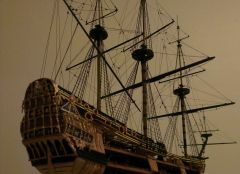 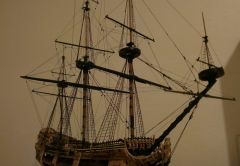 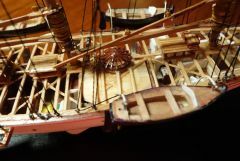 All interior accommodation has been replicated ( where possible), including the bathtubs, galley stove, cupboards, berths, etc. 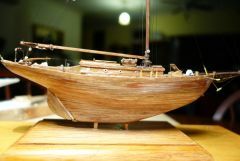 The Dorade Yawl, designed by Olin Stevens, is probably one of the most famous yachts of all time. 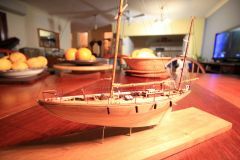 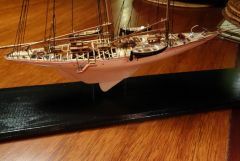 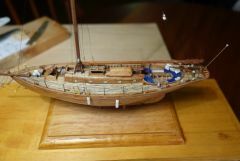 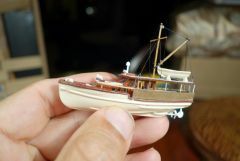 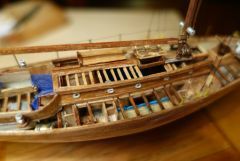 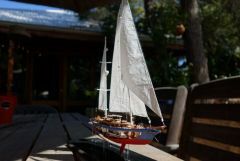 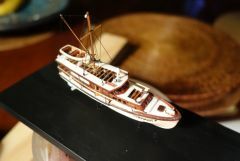 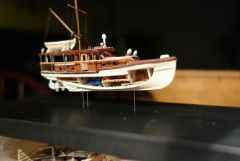 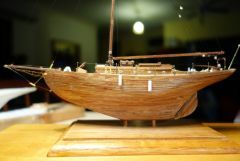 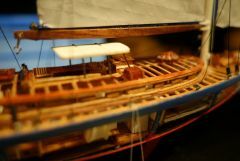 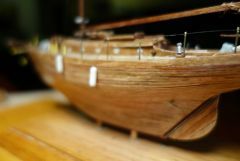 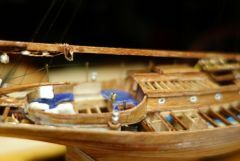 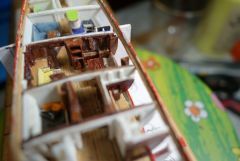 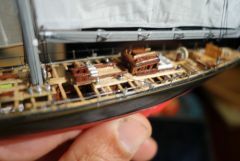 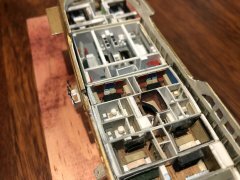 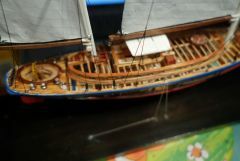 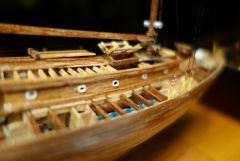 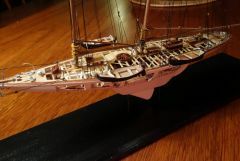 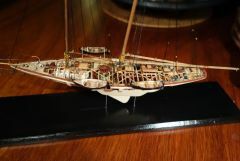 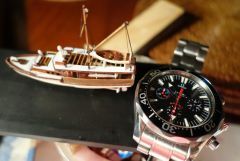 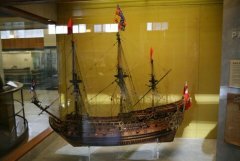 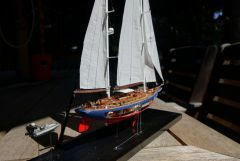 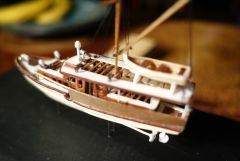 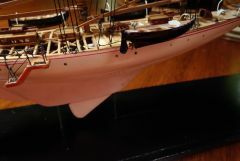 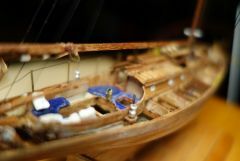 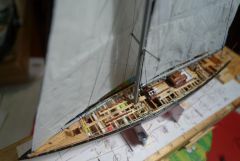 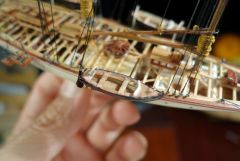 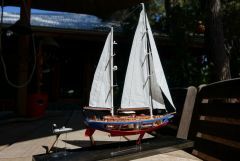 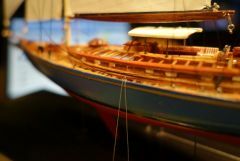 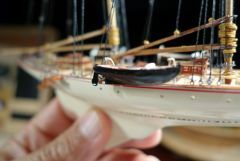 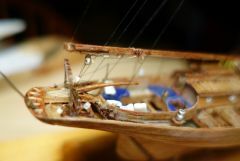 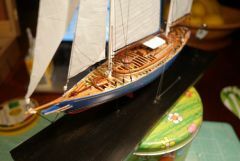 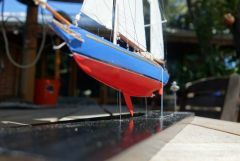 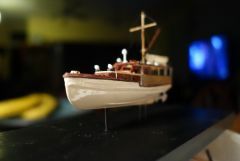 This model is a true miniature, yet fully detailed inside (visible accommodation can be viewed through the cutaway hull and exposed deck beams. 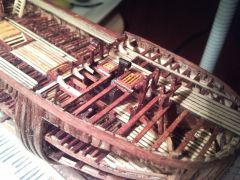 This is my dockyard framed hull of HMS Pandora. 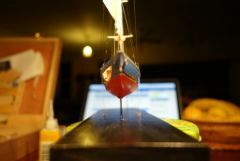 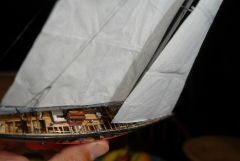 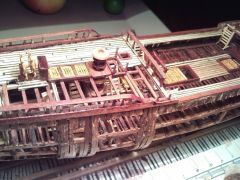 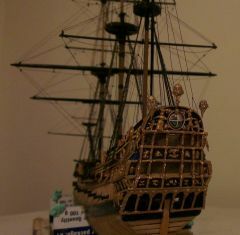 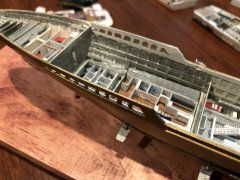 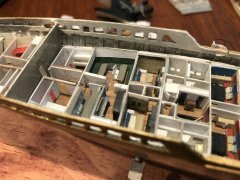 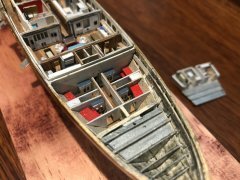 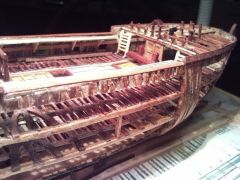 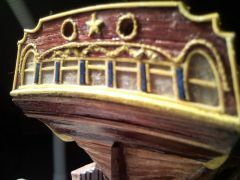 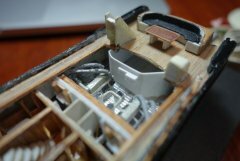 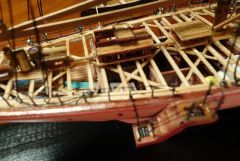 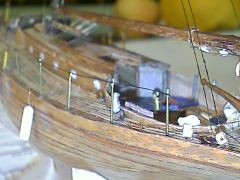 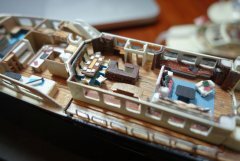 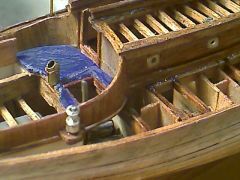 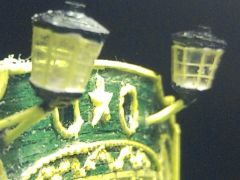 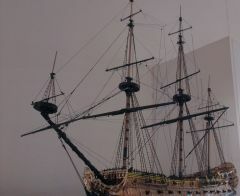 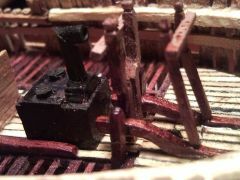 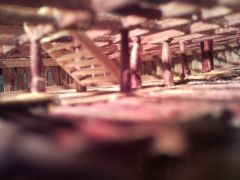 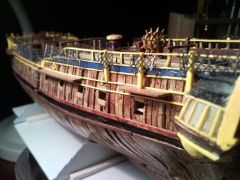 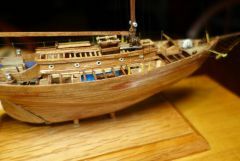 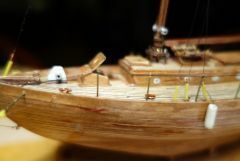 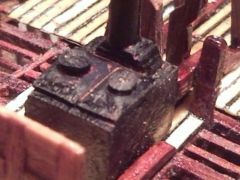 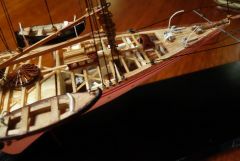 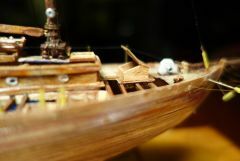 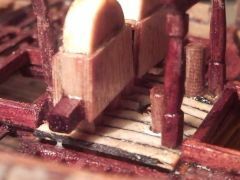 The hull is fully detailed inside, including bulkheads, canons, framing, etc.